Cute Mini Figurines: Guide and Sample to Make Your Own "Mini Me"
You may have known that the cute mini figurines will cost you about 20 to 70 dollars depending on the size, material and popularity of the item. 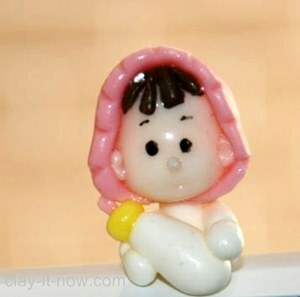 In fact, many people selling handcrafted “mini me” - mini people figurines above 150 dollars each. Whew….that’s expensive, isn't it? 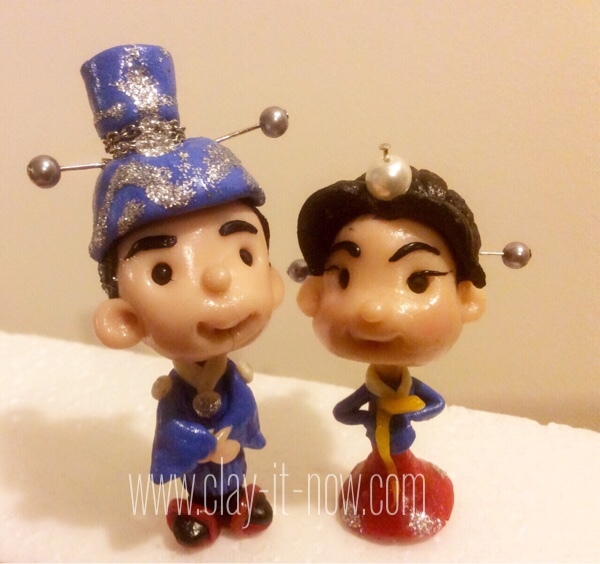 But, people buying the figurine because it’s adorable and it’s the best gift for everyone. You know a guy who fell in love with a Japanese girl and admire all things about Japan. 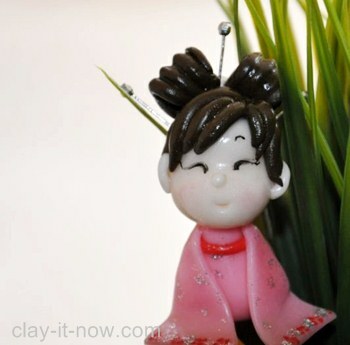 Would he appreciate your birthday gift to him if it is a cute Japanese girl mini figurine? He may have been searching for it all along and couldn’t find anything that pleased him. And, how much will it cost you to create such a memorable and personalized birthday gift? Less than 20 dollars plus your time, a little bit of imagination and skills. 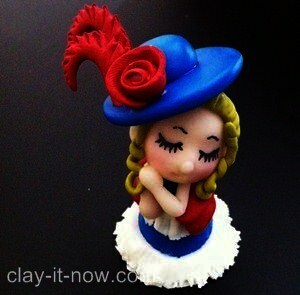 Recently I made a cute figurine for one of my friends who love Victorian fashion style. 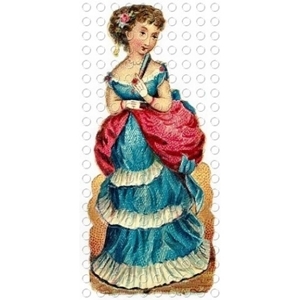 She gave me a design brief: “I want a cute Victorian Lady mini figurine wearing dress in blue, white and maroon color with big and bold hair accessories”. Hm…. It’s challenging. I don’t know much about Victorian fashion style. I started my design process by finding relevant pictures of Victorian Lady in the internet and my local library, choose the style, simplify the shape, add design elements and that’s it! I completed my figurine and my friend was very happy with it. I like it too. So I make another one for my collections. Here is my cute figurine of the Victorian Lady. Some of you may think that the mini-me figurine should be made close to the actual person. I don't agree though! 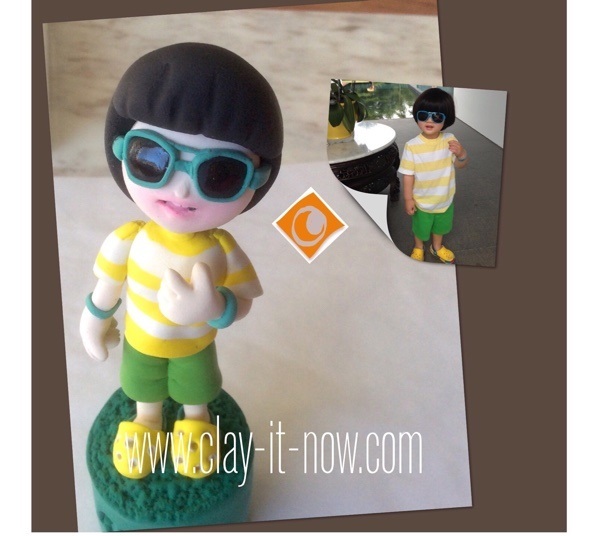 Nowadays we have 3D printer availbale where you can have the figurine exactly like you. Is that what you want? if yes, then the 3D printer is for you. 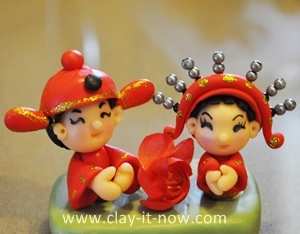 But, if you are looking for "cute" figurine than you shall go for the hand-made figurine. And, as the artist or creator of the figurine we are free to interpret the object and modify the color, position or the shape to our taste. Maybe it's easier if I said we should not make a photo copy image of the person in mini-me figurine. 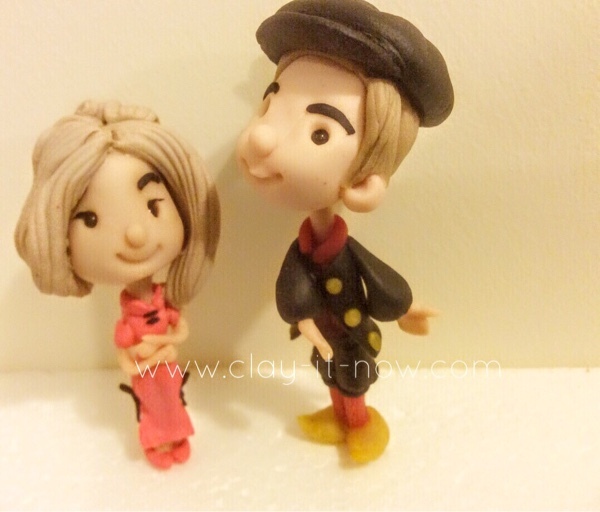 Soft squishy Clay is easy to handle to make life-like figurine but if you want the clay to dry hard, use oven-baked or air dry polymer clay. 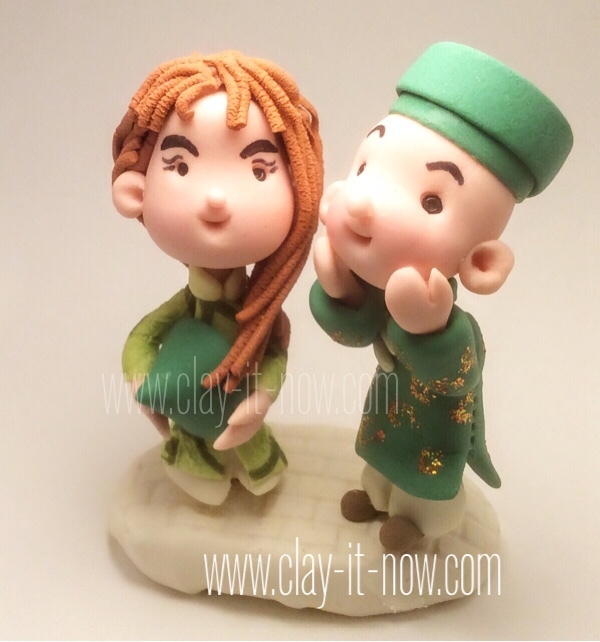 Alternatively, homemade clay like cold porcelain clay is the best choice too. Anything! 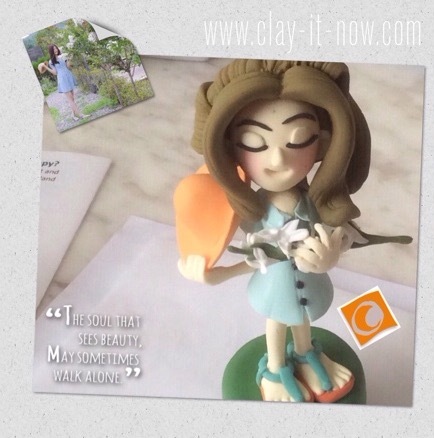 You can "clay-it" (= make things in clay) everyone and anything with air dry clay. 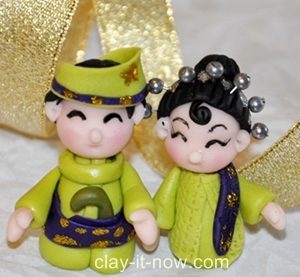 We like to make cute mini figurines for individual or a pair wearing traditional costume from around the world because this type of figurines could be used for birthday and wedding cake topper or souvenir for special occasion. 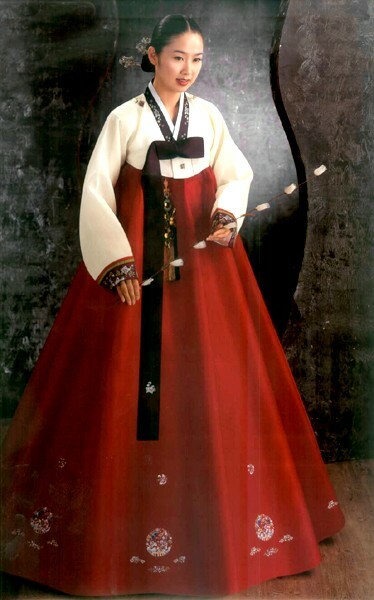 Hanbok, traditional Korean dress worn during traditional festivals or celebrations. 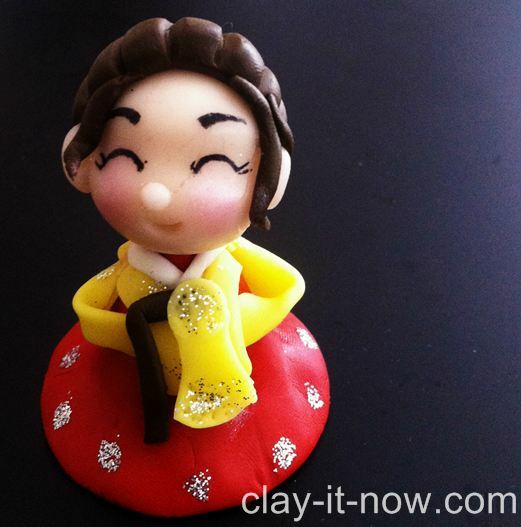 We've learnt that our figurine dressing style is commonly worn by the Royal in Korea. 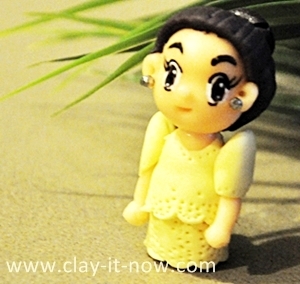 The girl in this figurine is wearing Vietnamese traditional dress, Ao Dai. We are not sure what the boy's clothing named as. But this is normally worn by a pair or couple. 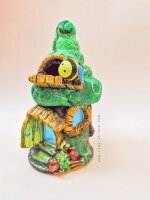 We've made a mix costume style figurine. The girl is wearing Qi Pao - Traditional dress style for Chinese woman and the boy in Dutch traditional dress. 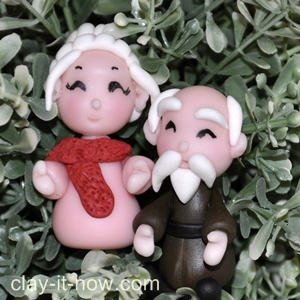 Check out our cute mini figurines tutorial for your practice and then develop your own style from there. 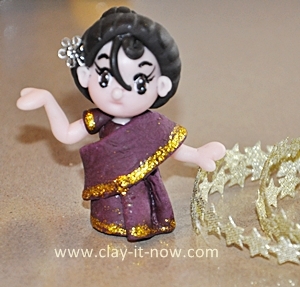 Let us show you the easy way to make cute girl figurine. 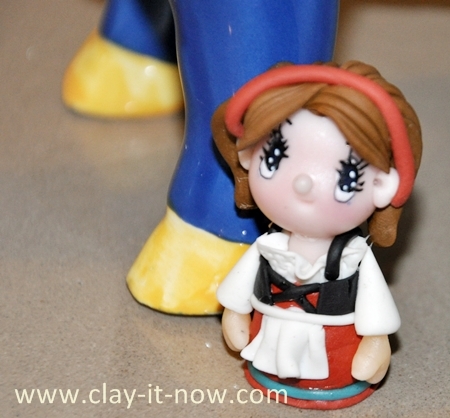 We've made 5 cm (2 inches) height German girl figurine.